Located just 700 metres from Khao San Road, Paragon One Residence offers air-conditioned private and dormitory-style rooms. Free WiFi is available in all areas. 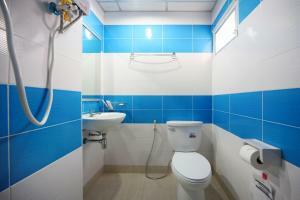 The private rooms feature a flat-screen TV with satellite channels, a refrigerator and a private bathroom. 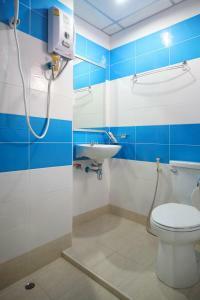 The dormitory-style rooms come with shower facilities and free toiletries in the shared bathroom. 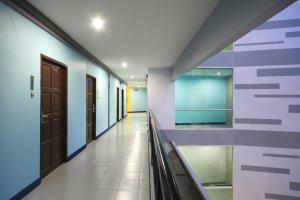 At Paragon One Residence, guests will find a 24-hour front desk and an on-site restaurant. Guests can check out many attractions including Wat Bowonniwet Vihara, Temple of the Golden Mount and Wat Suthat and the Giant Swing all located within a 15-minute walk of the hotel. Grand Palace is a 10-minute drive away. Suvarnabhumi Airport is located 28 km away from the property. 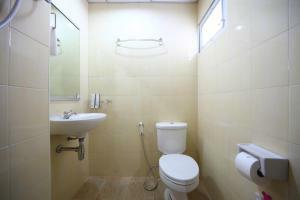 This double room features air conditioning, satellite TV and a private bathroom. 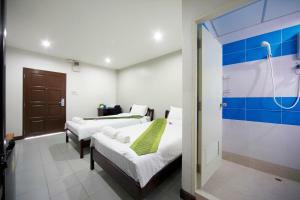 This twin room has a satellite TV, air conditioning and a private bathroom.